Peel and finely dice carrot and celery root. Remove parsley leaves from stems and cut into thin strips. 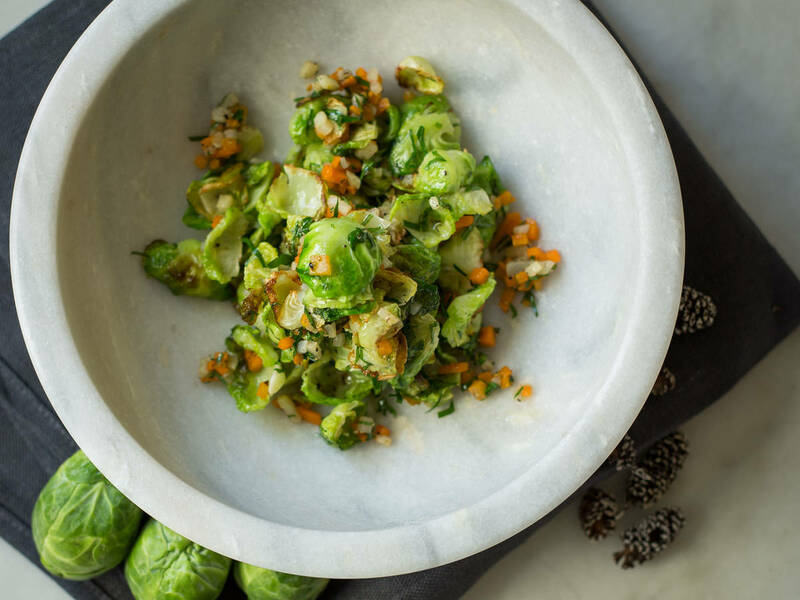 Clean Brussels sprouts by slicing off base and removing any discolored leaves. Either slice very thinly at a right angle to the base or peel off leaves one by one. Sauté Brussels sprouts, carrot, celery, and sugar in some vegetable oil over medium heat for approx. 8 – 10 min. until nicely browned. Add parsley. Season to taste with salt, pepper, and nutmeg.